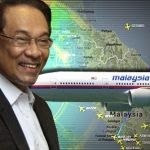 IT'S TOFFEE'S TURN: Can any reasonable Malaysian really trust this Government? Can any reasonable Malaysian really trust this Government? MH370 HOW CAN ANY REASONABLE MALAYSIAN TRUST WHAT THIS GOVERNMENT IS NOW SAYING, THEY HAVE A HISTORY OF HIDING THE TRUTH. 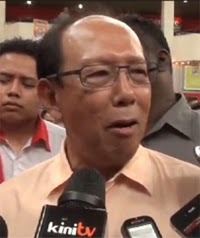 "As I recall, and especially after I resigned as minister, no one, be it in the government or Umno, was prepared to speak the truth......" Musa Hitam past Deputy Prime Minister of Malaysia and Deputy President of UMNO. "“I believe the government knows more than us. They have the authority to instruct the air force… or Malaysia Airlines. These are people who were part of the system, they know how Mahathir worked and how he is even now currently working to ensure that Anwar does not become the next PM, because he knows that if it does happen he is going to be answerable for a lot of things. Opposition leader - Mahathir's most dreaded opponent. UMNO is still in the claws of Mahathirism, which is a philosophy aligned to Nazism and we all know what the Nazis were capable of. 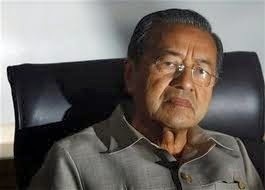 Mahathir has shown more than once, by his words and his deeds that he actually admired the Nazis. “Unfortunately the manner in which this was handled after the first few days was clearly suspect,” he said. “One fact remains. Clearly information critical to our understanding is deemed missing. We were promised that fuel prices would come down if the BN won the last elections, we were promise that toll rates will be reduced after the last elections, we were promised that car prices would be reduced after the last elections if the BN won. What did we get in return, they wanted to bring up the toll rates but stopped short when their won MPs protested, the price of petrol keeps spiraling although we are a net producer of premium oil (Light sweet crude). We are to be slapped with GST next year and why because the country can;t afford it anymore, there is all the corruption Billions in each case have been lost and the guilty still holding on to positions of power. What a shame when Hishamuddin told the press, that we would even have to conduct underwater search involving submarines, than quickly said, "before you ask let me tell you that our submarines do not have that capability. Our submarines were the cause of losing billions, RM500 million alone to a consultancy that had no experience even in ordinary boats leave alone submarines and one of whose directors was the wife of our Prime Minister who was then at the material time the Minister of Defence. There is a litany of corruption scandals almost all in which those responsible were let off scot free, and today because of all that the Malaysian Public has to pay. Now can we trust our government? To say that most of the families of the passengers on MH 370 do not trust what the Malaysian government is saying is an understatement. The majority of the passengers on the plane were Chinese,and the majority of the Chinese do not trust the government. A good number of the others Malaysians included do not trust what the government says, including current staff of the airlines and family members of the crew a random check with some employees at MAS have proven that the staff do not trust what the Government is saying. Sarah Bjac an economist whose partner Philip Wood was among the passengers refuses to believe that here loved one is dead. 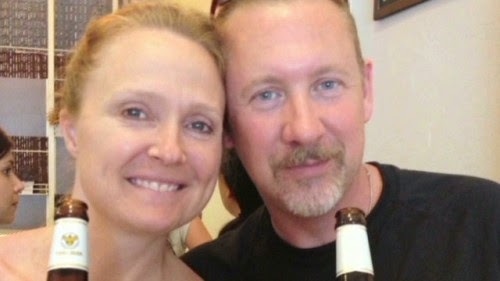 A freelance reporter Jim Stone has claimed that Mr.Wood managed to send out an image, a voice activated text and GPS coordinates that traced the phone to a location a few kilometers away from Diego Garcia the American Armed forces base in the Indian Ocean nto very far from where the current search is being conducted. Whist the photograph sent via iPhone revealed nothing as is was blank, the text claimed that he was being held hostage by unknown military personnel. Thsi resulted in speculation that the MH370 had landed on th eAmerican Basse of Diego Garcia, and this was further fuelled as experts reportedly found Diego Garcia's runway among those Captain Zaharie had sued for practice landings on his flight stimulator. In an interview with sky TV Phillip Wood's partner Sarah Bajc said she did not believe that her husband is dead, she said that from what we knwo so far from the authorities there is, "too much incompetence for it to be incompetent," and that there seemed to be, "active deception" in the reports by the authorities and so unless there is real physical prove that Phillip is dead she will not believe it. Could Sarah Bajc be the receipant of the message from Phillip Wood.